A brainy dog steals everyone’s heart – until someone steals him! Will Jerry and Rachel ever get their beloved dog back? Jerry and Rachel Pye adore their new dog, Ginger. He’s worth every penny they spent on him. After all, Ginger is the smartest dog in town. And soon he’s also the most famous. He’s so clever that everyone wants a piece of him. So when Ginger Pye disappears, the kids are sure he’s been stolen. They’ll do anything to get him back. They look all over town, but he’s nowhere to be found. Where could Ginger be? 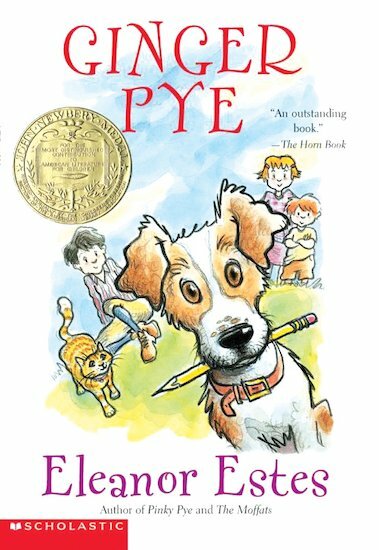 An award-winning classic: as irresistible to dog-lovers as a tasty bone is to a dog.